Think about it. 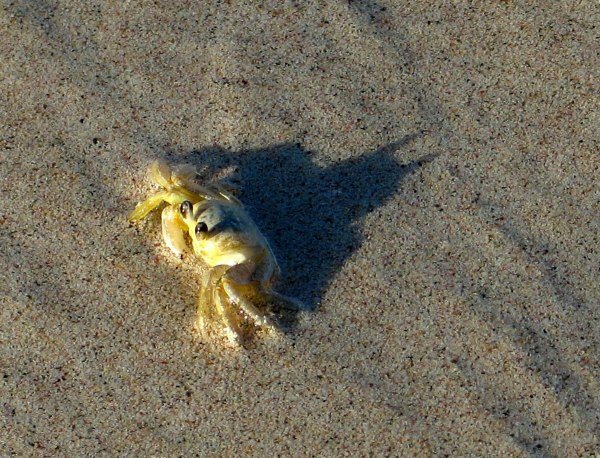 You've never seen this crab and Batman in the same place at the same time, have you? No.